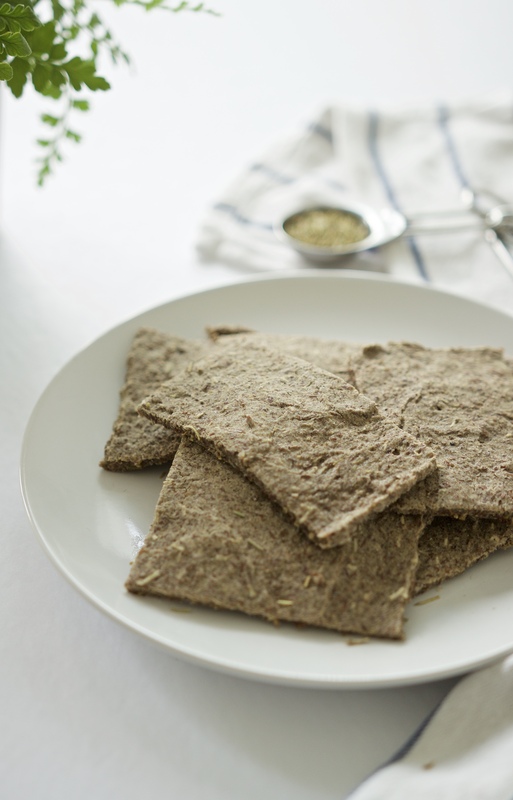 These gluten-free Rosemary Buckwheat Flatbreads make a great snack on their own or base for topping all kinds of fresh ingredients! Buckwheat is my favourite gluten-free “grain”, although, it’s actually not a grain. It’s a seed! I’d definitely say it’s one of my favourite flours to use for baking though. I love it for making pancakes, blueberry muffins, and in these flatbreads I’ll be sharing today. 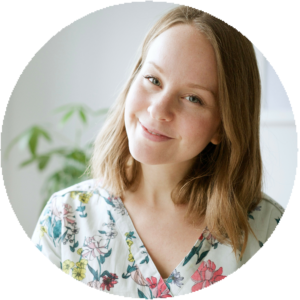 A little backstory: I don’t tolerate all foods very well (you can read more about my gut health story here). Dairy and also gluten-containing grains are a couple of the things my body prefers I avoid, and so I stick to what I know works best for my digestion. Buckwheat happens to be one of those things! These flatbreads however came about after trying some paleo/keto flatbreads that Sean’s parents like to make (they’re SO good). But since coconut flour is high FODMAP, too many of them = an upset stomach for me. So I decided to make ’em with buckwheat instead! These flatbreads can be cooked to a soft texture, or a little longer for a crispy texture. The rosemary in this recipe is really the star though, and I gotta say, rosemary is up there as one of my favourite herbs. It always blows me away how nature produces exactly what we need for health and for flavour. It’s like how I was pondering recently the reason behind flowers being so visually appealing. Is there even a reason? Nature’s just cool. 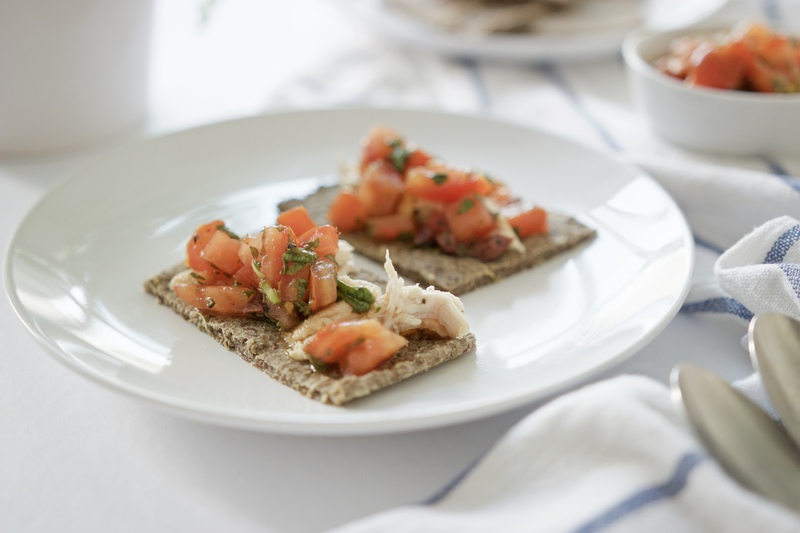 I highly recommend you try these flatbreads with my Tomato & Olive Bruschetta! 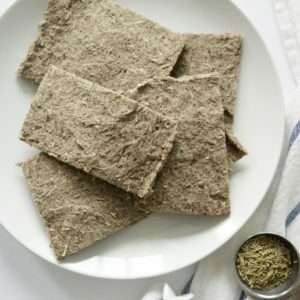 These super flavourful gluten-free rosemary flatbreads can be cooked either soft or crispy and make the perfect snack on their own, or base for a variety of toppings. Preheat oven to 350F. In small bowl, mix together all dry ingredients. Stir in wet ingredients and combine thoroughly until smooth. Batter should be somewhat thin. Line baking sheet with parchment paper and pour batter on top, flattening evenly into a large rectangular shape, about 1/4 inch thick or so. Remove from oven and let cool before slicing into desired sizes. Enjoy right away and store leftovers in airtight container for up to 1 week. Have you ever cooked with buckwheat before? How have you used it? Did you make this recipe? Leave me a comment below or tag me on Instagram @meghanlivingstone. This post contains affiliate links. Learn more about them here.